This is the third in this historical fantasy series by the imaginative CJ Archer and I have found all three to be light, enjoyable reads. The novels are set in London in the spring of 1890 but in Archer’s version of the Capital, magic exists but has been pushed underground by fear and prejudice. 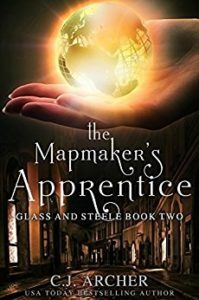 The fantasy aspect of the novel allows Archer to deviate from a strictly authentic Victorian London and she uses a structure of Guilds that govern tradesmen and artisans to anchor this alternative world to great effect. 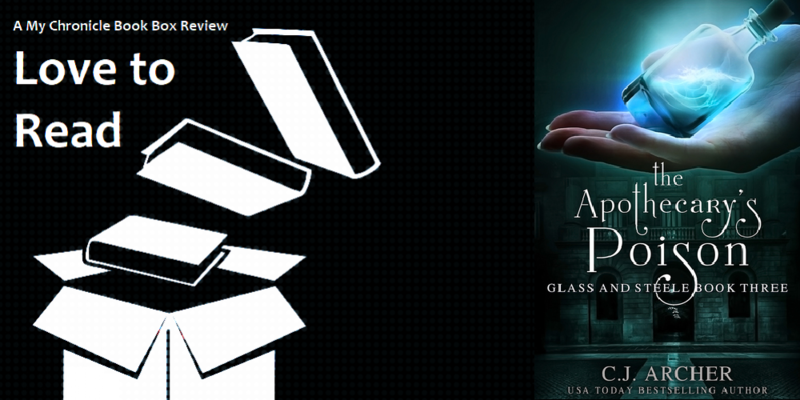 Matthew Glass is a wealthy man with a varied background and family. While he is heir to an English title and estate through his father’s family he is also related to Wild West outlaws on his mother’s side and has made a career as a lawman in the United States. This has led Matthew to be a unique character with a unique set of loyal friends. Matthew and his companions have journeyed from the United States to London in search of a timepiece magician and it is this search that brought them to encounter India Steele. 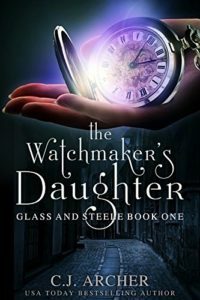 India Steele is an orphaned watchmaker’s daughter, providing the name of the first book in the series, and has discovered through her association with Glass that she is a powerful timepiece magician herself. Magic has been so thoroughly vanquished by the Guilds of this world that she was unaware of it until she came into contact with Matthew’s watch which has been imbued with magic to sustain his life. Together, Matthew and India are trying to find a timepiece magician named Chronos and help India find out more about her magical talents. This has brought them to the attention of the Guilds and in contact with various types of magicians. This book centres on Dr Hale, an apothecary magician, who is murdered shortly after meeting with India and Matthew. The book nicely combines the murder mystery of Dr Hale with the wider storyline of the search for Chronos and India’s journey to discover her magical talents. There is an additional element to these books which is the relationship between Matthew and India. Victorian societal norms place Matthew far out of reach of India, a tradesman’s daughter but Matthew’s greater concern is that he may not have a long lifespan to offer India. The resulting affection and tension between the two add another dimension to the novel and I am already looking forward to the next in the series The Magician’s Diary. Not actually steampunk but a fun re-imagining of the Victorian era.